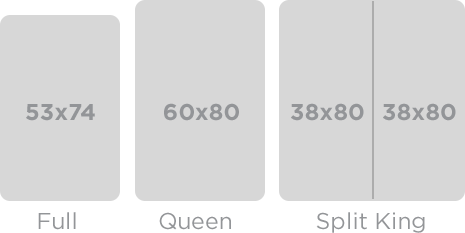 Your Kyvno Kit ships FREE and will arrive 2-7 business days after your order is placed. 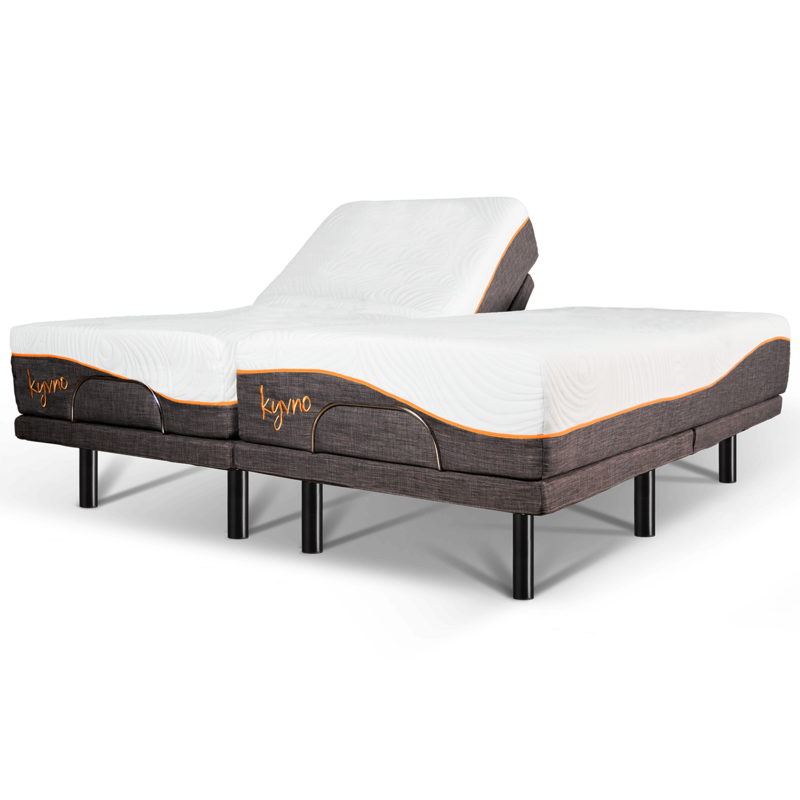 Your adjustable bed comes complete with a remote-controlled adjustable bed base and memory foam mattress. 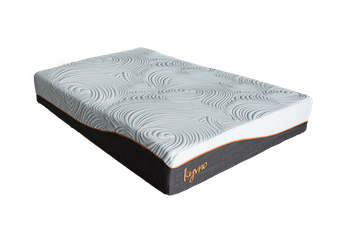 Seriously soft and perfectly breathable, this easy to clean, removable cover features a non-slip fabric bottom so your mattress stays put. 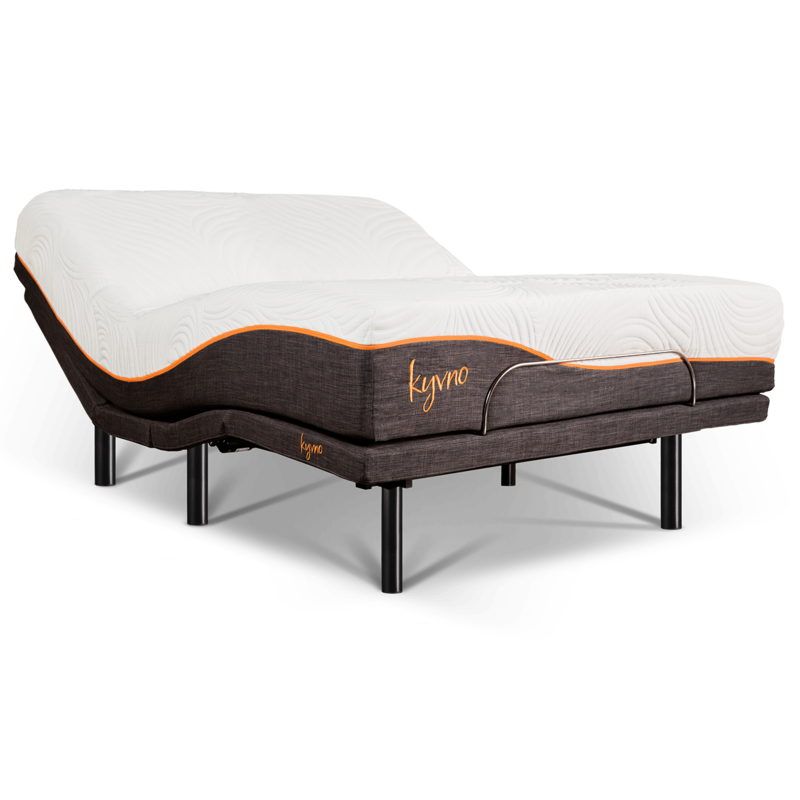 This high density memory foam conforms to your one-of- a-kind body shape for a custom fit like no-other. Also, gel beads allow airflow, keeping you and your mattress cool and collected. Sleep soundly with this cut-zone designed to improve air circulation, eliminate motion transfer and adjust to your body temperature. 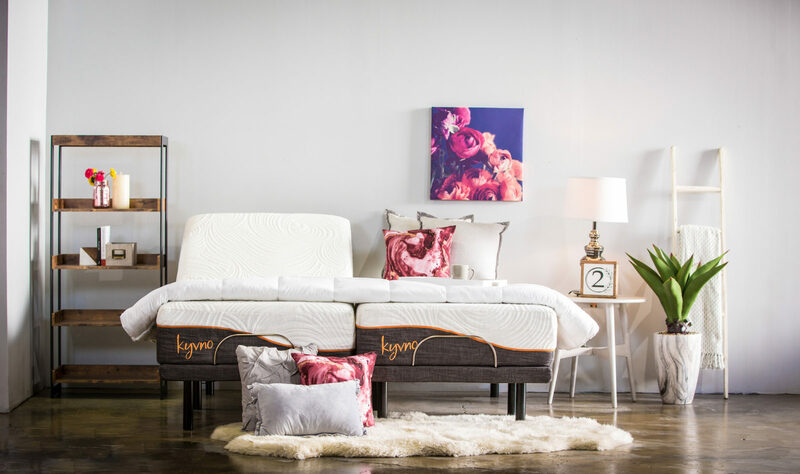 And last but not least, this environmentally friendly high-density foam layer optimizes your comfort level and increases the durability of your mattress. A bed base as versatile as you are. 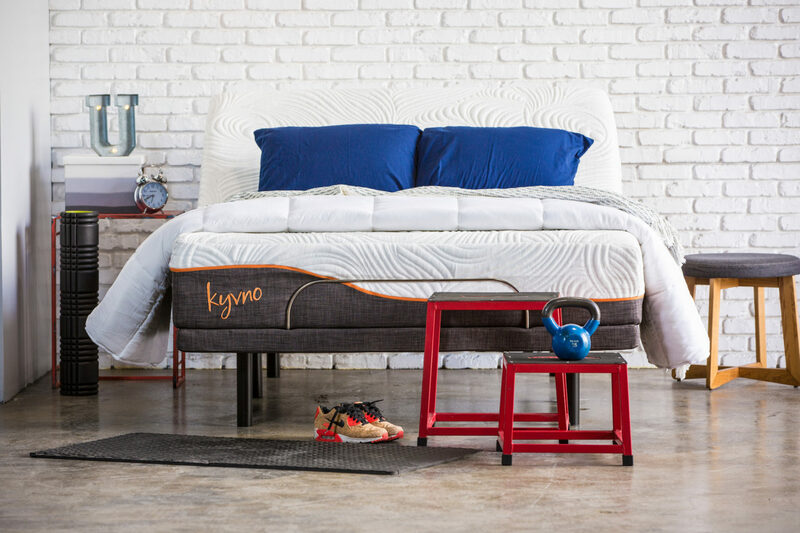 Kyvno was created specifically for individuals with busy and active lives. 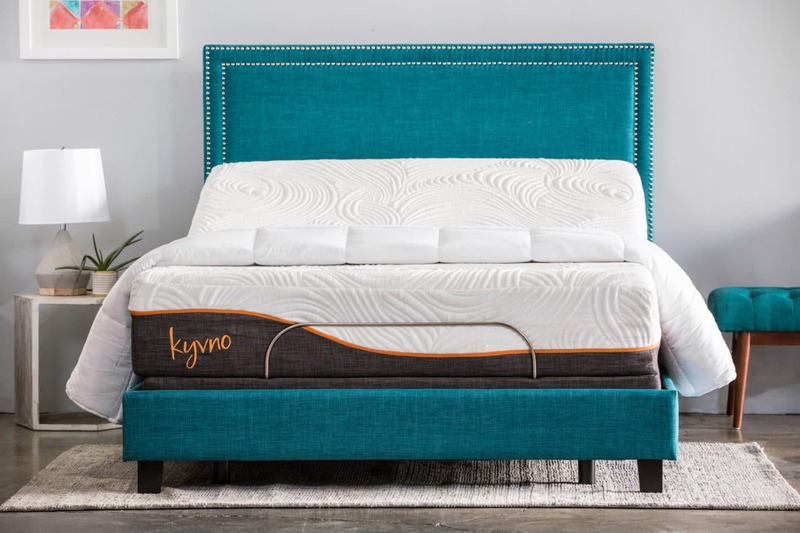 The adjustable bed base and memory foam mattress provide spinal cord support to reduce aches, pains, muscle stiffness and other small but annoying ailments that prevent you from living life to the fullest. Full: 49 x 49 x 106, 86.5 lb. Queen: 49 x 49 x 146, 101 lb. Split King: 49 x 49 x 202, 65.75 lb. – Foam Covered Frame – Motorized: Head and Foot – Head/Foot Lift: 70”/42” – 1 Remote: Wired (Split King – 2 Remotes: Wireless) – Gross Weight: Full – 163 lb. Queen – 168 lb. Split King – 252 lb. 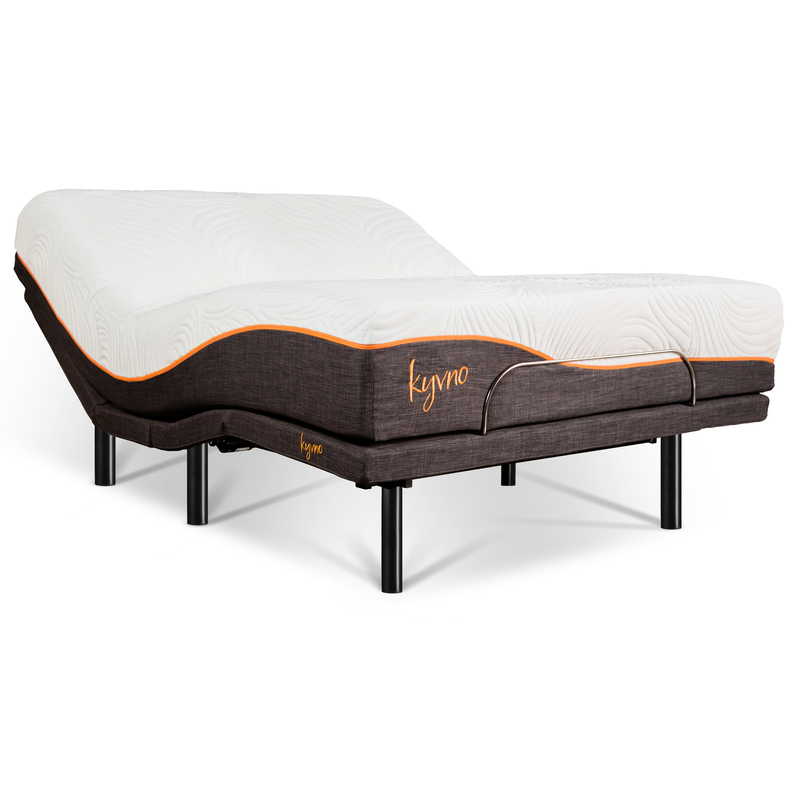 So, how do we stack up against all the other mattress and adjustable bed companies? Note: This chart reflects the retail pricing of each company, excluding impermanent sales or promotions. Pricing is subject to change.